This is a colonial style vintage end table I purchased at the thrift shop recently. It's quite large and has storage inside and in front for magazines. Here is the end table after the makeover. 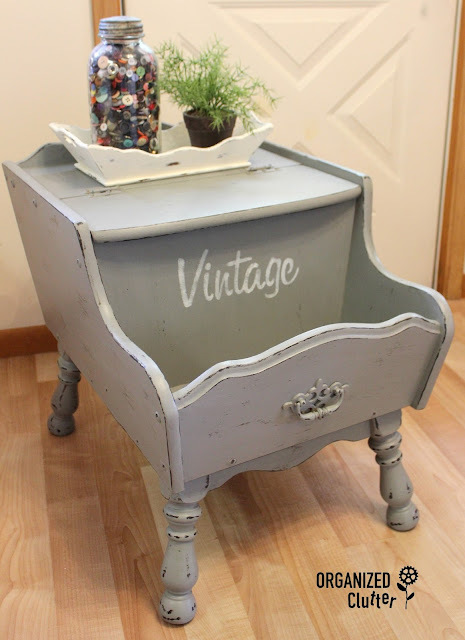 Items I used in the up-cycle are: the Plaid Layering Block, Walnut Noyer Acrylic Craft Paint, Rustoleum Chalked Paint in Country Gray, Varathane Matte Water Based Polyurethane, and Old Sign Stencils Market Extension "Vintage". 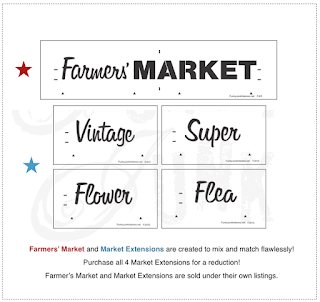 *Old Sign Stencils Market Extensions. After applying two coats of the Rustoleum Chalked Paint, I squirted Ceramcoat Walnut Noyer Acrylic Paint onto a paper plate. I apply the craft paint to the layering block with a sponge brush. Then I glide the layering block along the edges of my table. You can leave a thin line or go back over the edges and made the faux distressing heavier. I continued to slide the Layering Block along all edges, re-coating the bottom with more paint as needed. 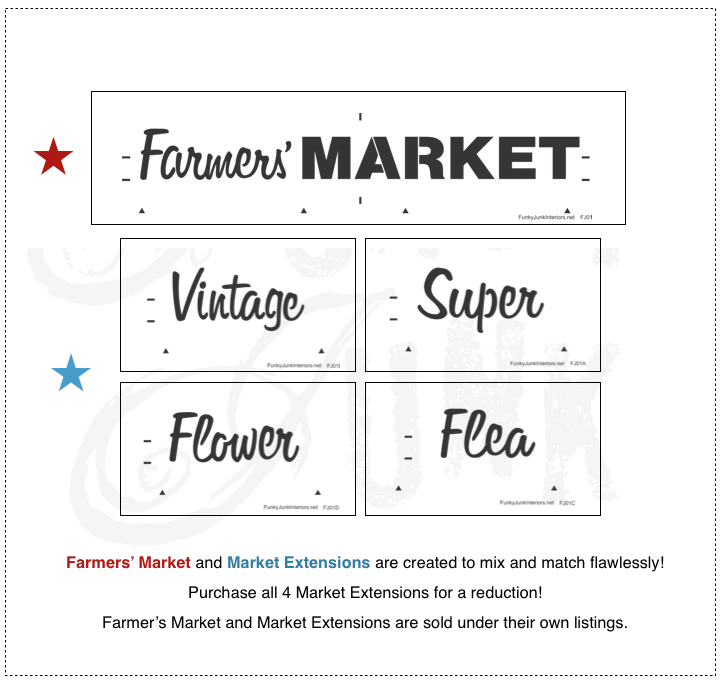 It may take a little practice but you will soon figure out how to get the look you want. If you apply too much paint just touch up your piece with the base coat paint. Curved legs are a little bit tricky. I almost always end up with some touch up here. When you are ready to faux distress the whole piece and not just the edges, rub your Layering block on a piece of newspaper several times until almost all of the paint is gone. Then glide the Layering Block over the top and sides. The paint goes on randomly and looks like real distressing. To finish off my table, I stenciled on "Vintage" with ivory craft paint and applied a coat of Varathane Matte Polyurethane (water based) for added protection. I had the Varathane on hand but there is a topcoat made to seal the Rustoleum Chalked Paint. 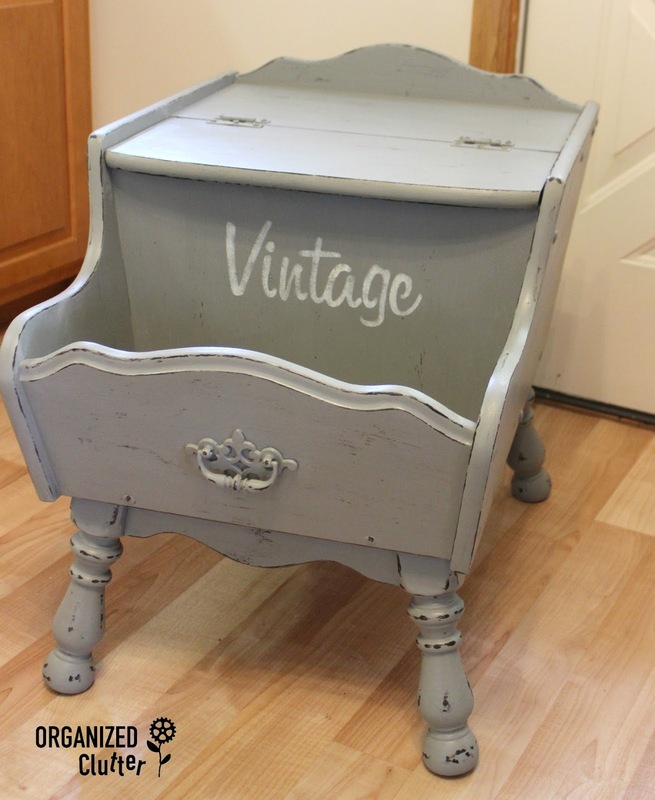 This was the first time I have used the Rustoleum Chalked brush on paint. I tried the Chalked spray paint and really liked it. 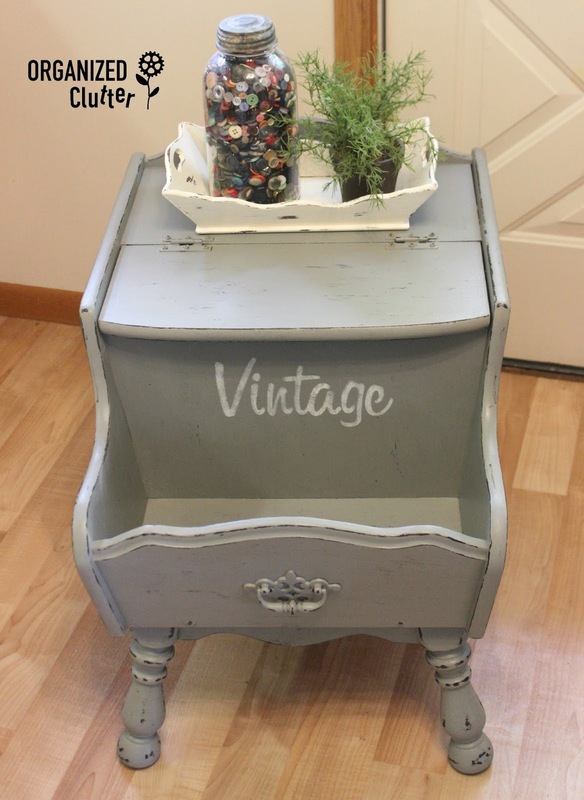 The brush on paint is much thinner than Annie Sloan Chalk Paint and has a bit of a different look as well. It was easy to apply and covered in two coats. What a darling find, and what you've done to it is just adorable! Thank you for describing the Layering Block so well, for the life of me just looking at it I had no idea...never seen this before. I ALWAYS enjoy your blog. Great Job OH, & Love your porch as well. I want to repaint and distress some white cabinets. I think using the walnut paint and block is the way to go! Thanks for the tip. I remember that style of end table ... great transformation. I need to try one of those layering blocks. Thanks for sharing. Your projects always look great!! Love the color and the stencil. Carlene, I love the mag table! Those are sooo useful! I really like the look of it both before & after! Wish I could find something like that in MY local thrift store! Love the addition of your "Vintage" stencil!